Create a exotic atmosphere in your dining room with the Havana Ivory and Blue Oasis Rug - 8 x 11. 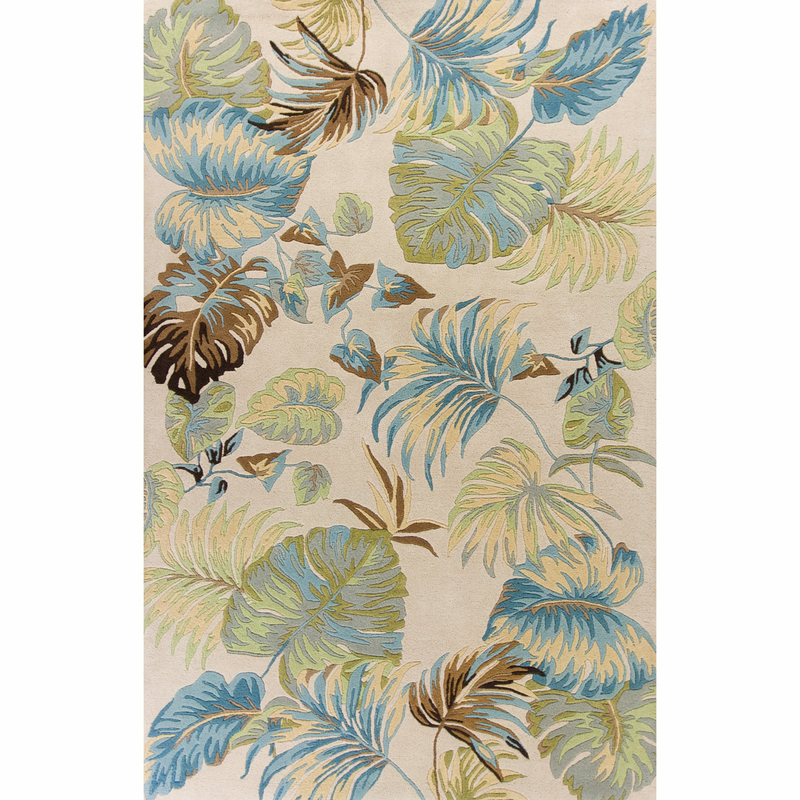 This nautical area rug features lush blue, brown, espresso and tan foliage on an ivory background for defining style. For even more pieces, we encourage you to take some time to look through our full assortment of coastal area rugs at Bella Coastal Decor today.